2 Pack! - Mrs. Meyer's Clean Day Lemon Verbena Fabric Softener reduces static, makes ironing easier and softening clothing and linens. Contains softening ingredients from plant-derived sources, cotton extract, and natural essential oils for garden fresh fragrance. Use 1/2 capful of Mrs. Meyer's Clean Day Fabric Softener in your rinse cycle to make clothes fragrant, fluffy and soft, reduce unsightly static cling, and make your ironing easier. 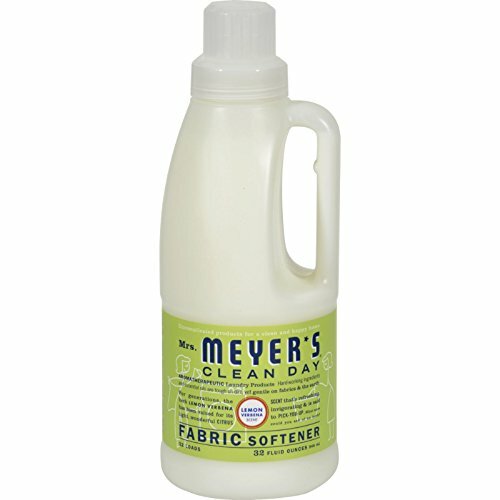 Mrs. Meyer's Clean Day Fabric Softener is hard working, biodegradable, and environmentally friendly. The formula is made from 97% naturally derived ingredients like lemongrass oil and lemon peel oil.